I’ll be honest, the most advanced social media trick I know is clicking “like” on my kids’ new profile pictures. But I am quickly learning that in order to promote the kinds of meaningful conversations that I want to have these days, I need to do more than secretly post my blog at the back of my website. I also have to promote my words in these nebulous networks of chatter, with the hope that people will actually see this vision through the din and smog of a million distractions. So, I’ve been slogging through the rather tedious process of learning to play the social media game in the digital age (imagine your internet illiterate father/brother/uncle asking, frustratedly and earnestly, “So, I can’t reply to a Facebook post by email?” Yeah, that’s me). One thing I have learned is that, rather than just writing blog posts and leaving them here to rust in some digital backlot, I have to promote them through Facebook, twitter, and other networks. With Facebook I have even resorted to paid promotion of these posts because, as my friend put it, “with Facebook, you have to pay to play”. Of course, I was upset that they thought I was somehow promoting marijuana. But I can’t say I was surprised. With the federal government still floundering about in confusing half-definitions of industrial hemp, how can I expect a social media platform to understand the differences between hemp and marijuana, even if they do seem incredibly common sensical? I wrote them back. “Hempy’s has been manufacturing hemp goods in the U.S. for 21 years. There is nothing illegal about it,” I began. I went on to explain how our blog post was about as far as you can get from promoting the use of illegal drugs. We were, in fact, reporting on the DEA’s recent, widely announced decisions about keeping marijuana a schedule one drug, and about how their recent statements affects the legal industrial hemp industry. Thankfully, they approved our “ad” soon after my appeal. But this is not a one-off issue, and it gets to a much deeper problem that I have encountered before: as the legality of marijuana comes center stage, people have suddenly become very confused about industrial hemp. In the last two decades, since the legal, medical use of marijuana began to take off and industrial hemp came growing back like the persistent “ditch weed” that it is, companies have been wary to touch anything related to any strain of Cannabis. It’s not just Facebook ads, but retail stores, banks and credit card companies. Everyone is afraid to be caught peddling a schedule one narcotic. Just last year, I ran into this issue with my credit card merchant account at Hempy’s (this is, apparently, not that uncommon) which is responsible for processing all of the purchases from our online store. One of the products we used to sell on Hempy’s web store was Hemp Love chocolate bars, made by Albert Lewis founder of Hempy’s. These bars, like many other foods readily available in the United States, contain hemp seeds. Delicious, candied hemp seeds. But I guess our merchant account didn’t have such a sweet tooth, because I was contacted by them and told, curtly, that I had to take the chocolate bars off of the website within 24-hours, or they would shut down my entire account. I tried to explain that there is no THC in the chocolate, that they are not edibles, that you can buy hemp seeds at Costco etc. I went through the now tired, but apparently still necessary, conversation about the difference between hemp and marijuana. It didn’t matter, they said, take them down or lose your online store. Anyone following the developments of legal marijuana sales in Colorado might see a familiar trend here. Even as products are becoming legal, financial companies are steering very clear of the money involved in these transactions. This has shaped the industry. According to a 2014 report, 60 percent of companies that sell marijuana don’t even have a bank account, let alone the ability to process credit cards. While there are some reports that businesses are using foil accounts to accept credit cards, this seems to largely be under the radar activity, rather than an agreement with credit card companies. 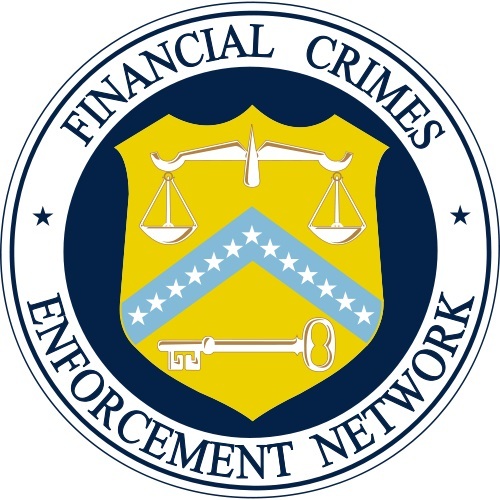 The Department of the Treasury, Financial Crimes Enforcement Network, sent out a memo in 2014 that outlined how credit institutions can go about working with marijuana-related businesses, but it has just led to more confusion. A Judge Jackson, in a Colorado court ruling, went so far as to call these rules a “nothing burger”. As long as the federal government continues to treat hemp like a drug, I expect these same issues to occur. It’s a major drag on the industry, keeping farmers afraid to plant hemp, investors hesitant to invest in manufacturing, and small business owners like myself tangled in unnecessary webs of bureaucracy. It’s high time for a sober look at the negative effects that hemp’s demonization has had on this nascent industry that could be doing so much to help our economy and environment, if we just let it. Hang on, while I try to tweet that out–how many words do I get to use again?